The Buildings Research program is diverse with experience in heating and air-conditioning systems, insulation and envelopes, lighting and daylighting, appliance efficiency, and control systems. The integration of energy-efficient building systems produces high-quality and energy-efficient homes, schools and commercial buildings. Performing buildings research in a controlled environment is vital to quality research. UCF researchers have several on-site, full-scale residential laboratories that have been constructed with or retrofitted for short- and long-term performance data monitoring. Search the Buildings Research Publications. High performance housing brings together the best of high efficiency equipment, high performance building components, and high attention to detail. Goals may be generally described as achieving very low energy use while safe-guarding occupant health and safety, enhancing building durability, and improving occupant comfort in comparison to minimum code-compliant homes. 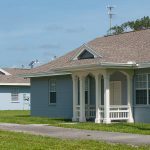 Adopt cost-effective, off-the-shelf, best practices for energy efficiency and building science to reduce risk and capitalize on opportunities in Florida affordable housing renovations. When fully implemented, these proven practices produce approximately 30% whole house efficiency improvement. 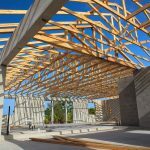 Although commercial and institutional buildings vary greatly from one to another in size, use, and type of construction, there are general recommendations for creating energy-efficient commercial buildings in a hot and humid climate. More than 50% of Florida’s electricity is used in 14 million plus residences and the energy provisions of the Florida Building Code have been a key tool in achieving statewide increases in energy efficiency. 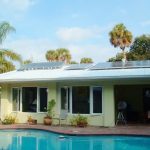 Since the late 70s, the state of Florida has called upon UCF researchers to analyze Florida’s building energy code and recommend possible changes that would increase residential efficiency. Heating and cooling equipment, and the distribution of conditioned air through duct systems, play a key roles in creating an indoor environment that is healthy, comfortable, durable and energy efficient. 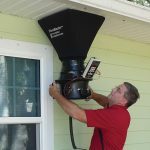 UCF researchers study these systems and how they are impacted by other building elements such as mechanical ventilation. Side-by-side testing of seven different residential water heating systems in an unconditioned building that resembles and can exceed garage-like temperatures in Central Florida was performed over several years. Categories of systems include: electric, renewable, and natural gas. 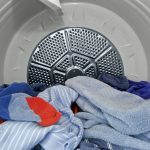 Miscellaneous Electric Loads (MELs)—appliances, entertainment centers, computers, and fans, or any devices other than those used for space heating or cooling, water heating, or lighting—generate heat as a by-product inside the home, thereby increasing space conditioning costs in cooling-dominated climates. 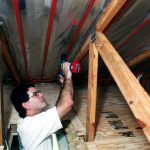 Roof assembly—roof finish, radiant barrier, attic ventilation, attic insulation, knee walls, and air sealing at the ceiling plane—research includes, comparative laboratory investigations, field studies in commercial and residential buildings, and the development of algorithms for modeling roof assembly effects. 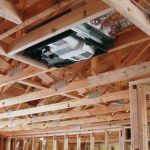 Radiant heat gain from the roof assembly is a major cooling load in the hot humid climate. Fenestrations are glazed apertures in buildings, and include conventional windows, roof skylights, glassed doors, clerestories, roof monitors, tubular skylights, and sloped glazings of different kinds. 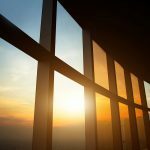 Previous research includes solar heat gain and its effects on the thermal performance of buildings and energy costs for heating and cooling, studies of daylight illumination, as well, performance assessments of complex piped daylighting systems. 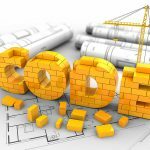 What is the potential value of increasing compliance with the energy code? In this project, UCF researchers will assist in developing and field testing a methodology to accurately and cost-effectively measure the opportunity for energy and cost savings through increased energy code compliance in commercial buildings. 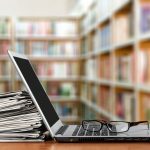 Researchers will also develop training and educational materials to address common compliance issues. Florida Study Contact: Karen Fenaughty at kfenaughty@fsec.ucf.edu or 321-638-1474. FSEC Energy Research Center is conducting a study funded by the U.S. Department of Energy to learn about the indoor air quality in new homes. 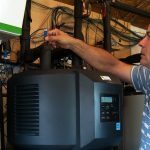 Lawrence Berkeley National Laboratory (LBNL) and Pacific Northwest National Laboratory (PNNL) are partners in this study.